May long weekend is the official kick-off where the provincial parks open to campers. If you’re an avid camper, or brave enough, the crisp spring mornings are something to look forward to where you can spark up that campfire and cook up an egg breakfast to remember among the sounds of wildlife. 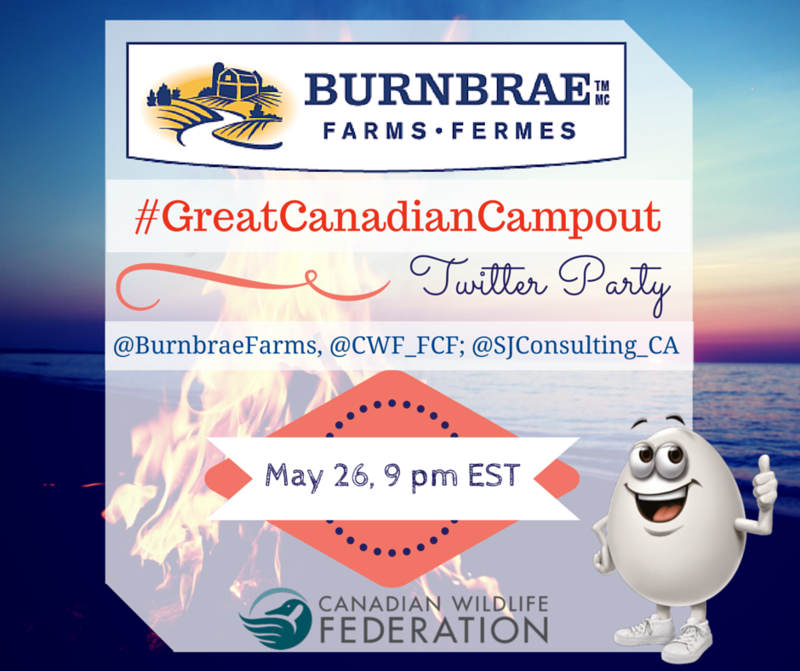 SJ Consulting is pleased to be co-hosting the#GreatCanadianCampout Twitter Party on May 26th at 9 pm EST with Burnbrae Farms and Canadian Wildlife Federation. Join us for an hour of fun, delicious egg recipes and campfire memories. Make sure you RSVP below and follow the hosts to be eligible to win the prizes and we’ll see you at the #GreatCanadianCampout Twitter Party!